I recently ran across an article on Bankrate that talked about raising a money-savvy teen. In it, they covered ten money management lessons. They also provided some depressing statistics on the state of personal finance education in the United States. For example, when asked about basic financial concepts, high school seniors were only able to correctly answer 48% of the questions that they were asked, and college students didn’t fare much better. In fact, college seniors correctly answered just 65% of the questions that they were asked. I was surprised to see that there really wasn’t anything on this list about managing credit cards. I guess that some of this stuff could technically fall under establishing credit and dealing with debt. However, I think there’s a big gap between securing credit and dealing with debt — namely, managing your available credit wisely. I also think that it would be valuable to teach kids about the loan process in general. 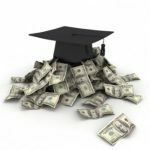 While they talked a bit about student loans, kids leaving high school should (in my opinion) have at least a cursory knowledge of how things like car loans and even home mortgages work. Finally, I find it hard to believe that they didn’t include anything about investing on this list. It’s really never too early to start educating kids about investing basics, and teens are certainly old enough for a basic education on investing and financial markets — e.g., stocks vs. bonds, the power of compounding, etc. Of course, regardless of what’s on this list, it’s clear pretty clear from the statistics presented above that they’re not getting this info at school. Thus, it’s extra important to ensure that they get this stuff at home. While I think some of the advice in the merit badge book can be tweaked a little bit, for the most part, it’s a very sound primer on personal finance, time management and other details of life that are very helpful for teens (male and female). The cool thing is that you don’t have to be a Boy Scout to read and benefit from the material. What good is knowledge if you can’t apply it? I agree schools are not teaching kids enough about money. But I’m going to throw some of that back to this No Kid Left Behind stuff. Schools are focusing on where the funding coming. The students are being taught so they can pass the tests nothing more. I also think we somehow need to teach parents how to teach their kids about money. The lessons need to start at home. god knows i was never taught any financial responsibility concepts in my younger years, either at school or at home. the result? $43,000 in credit card debt (shared between me and my spouse) before the age of 28!! i think any classes at all that can be offered in school would be a benefit to students. many of us grew up with irresponsible, or indifferent, parents. to have learned some of this stuff from somewhere, anywhere, would have been a great benefit. I believe our schools are pretty good, but, if there’s a lesson your kids HAVE to know, you better teach it yourself. Various constituencies have ensured that school teachers can only teach a politically correct version of the curriculum. And that might not include financial responsibility. “Balance a checkbook”. I don’t think I ever balance my checkbook before. I can’t remember the last time I wrote a check. Is it even a necessary skill anymore? I agree with ToughMoneyLove about avoiding debt instead of dealing with debt. Out of the list, I probably only practice two items religiously, “Identify wants vs. needs” and “Pay taxes”. I also avoid debt at all cost. So I don’t have to worry about “Deal with debt”. Maybe that works in certain areas, but in many instances it is simply not practical to live on cash alone. Even if you have cash to make certain purchases, appliances for instance, why would you not want to use credit with 24 month 0% financing and keep the cash in a high-yield interest bearing account? Why would you want to use cash to make purchases and get nothing in return when you can use credit and get extended warranty protection, price protection, rewards, etc. Quite simply, it is irresponsible to assume that one style can and should apply to all people. Blanket statements such as this do nothing to help people deal with finances in the real world. It is best to teach people all of their options, and to be responsible no matter how they choose to live their lives. I’m guessing some parents still don’t know these things well enough to explain them to their high school or college aged children. I think its more up to the parents to teach the kids than the schools. Cause I agree with Tough Money Love – avoid credit, stay out of debt, don’t learn to “deal” with them, learn to avoid them. My parents basically told me to beware of credit cards cause they set you up to fail. They also told me that other than a home if I don’t have the money to purchase something I want then I don’t really need it. I’ve lived by that advice and it’s been the best thing I’ve ever done. Also balancing a checkbook is very important. It’s the best way to make sure the bank doesn’t commit any errors, because they do and its more frequent than you think. I also write checks to pay bills the old-fashioned way all the time. I hate to sign up for automatic bill pay – its too hard to stop when you need to. It’s also the same as paying with a credit card – you never fully grasp the amount you are paying, but when you write out a check, you’ll notice. I really agree that teens need to know about building credit. My parents were great about teaching me how to save and balance a checkbook, but accidentally left off the part about building credit. I didn’t figure it out on my own until the end of college, but could have really benefited from learning that earlier. I wish all parents would print this out, tape it to the refrigerator, and go down the list and teach their kids everything before they leave for college. I read that piece as well, and find that it is not often enough that the subject is brought about. Being a fiscally responsible adult begins with being taught basic financial principles and practices while growing up. Not that there is a specific point in time, since everyone develops at differing rates, but at least at some point, parents need to begin teaching their children the value of a dollar. Number 6 on the Bankrate list should have been “Avoiding Debt” rather than “Deal with Debt.” Number 4 on the list should be “avoiding use of consumer credit” instead of “establishing credit”. However, considering that Bankrate makes money directly from banks and other lenders who feed off consumer credit, it is not surprising that the list has been sanitized in favor of the consumer credit culture. I agree — given the amount of college students who go into credit card debt, it is shocking that “managing credit” isn’t its own credit. For better or worse, most students will begin establishing credit early, if only because they fall for solicitation offers. Managing it is the key! Furthermore, I wish we could do away with the term “balancing a checkbook.” I don’t know about you, but I don’t even have a checkbook anymore — I’ve written two checks in the last couple of months. Almost all of my transactions are online now, and I’m far more likely to use a debit card than a check (how many people remember to balance debit card transactions?). Even if its the same idea, “balancing a checkbook,” especially to younger people, sounds antiquated — staying on top of your money or better financial awareness might be a better way of putting it. Teaching our kids is probably the most important thing we can do. They will grow up and remember those lessons.